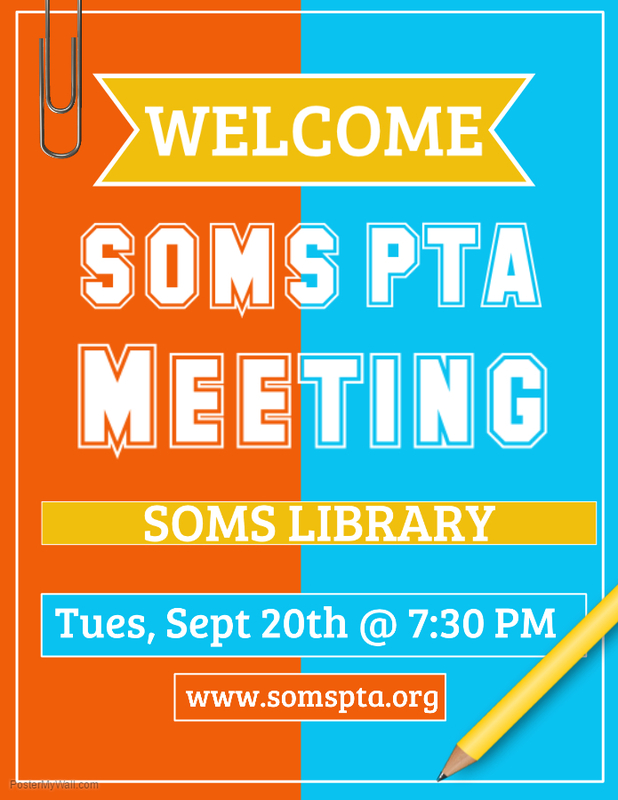 Please join us at SOMS PTA’s First Meeting of the 2016/2017 year. Tuesday, Sept 20th, 7:30 PM in the SOMS Library. The agenda includes the proposed annual budget (Where does the money come from, and where does it go) and upcoming events and fundraisers. We hope to see you there!